As a technique for the determination of pesticide residues, fluorescence is not as generally applicable as some modern methods such as vapor phase chromatography. However, it does have certain advantages over the classical methods of analysis in cases where it can be used. The possible uses of this technique for residue purposes have not been thoroughly explored. It is important that the residue chemist consider all possible techniques available and use whichever is most readily applicable to a given problem. 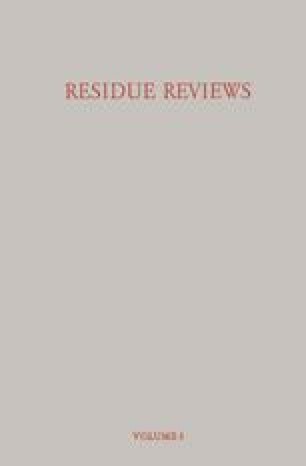 Therefore, in this paper the author will attempt to explore the areas of residue analysis in which fluorescence should be applicable. No attempt is made to make an exhaustive review of fluorescence methods in general.